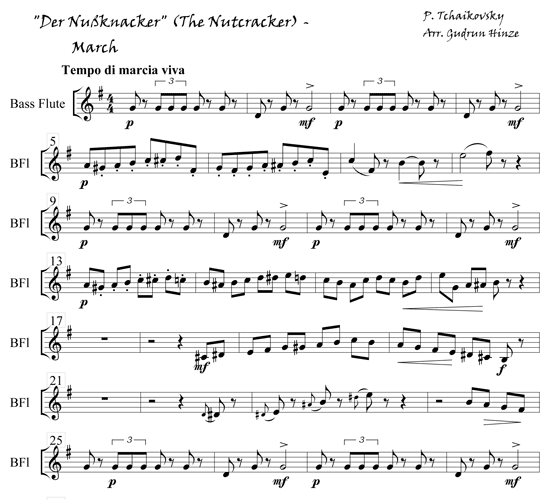 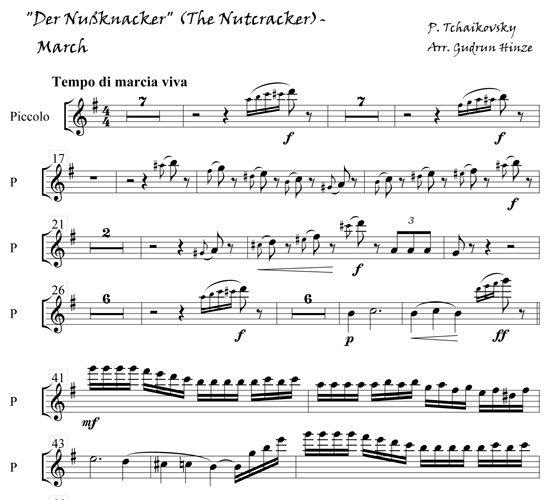 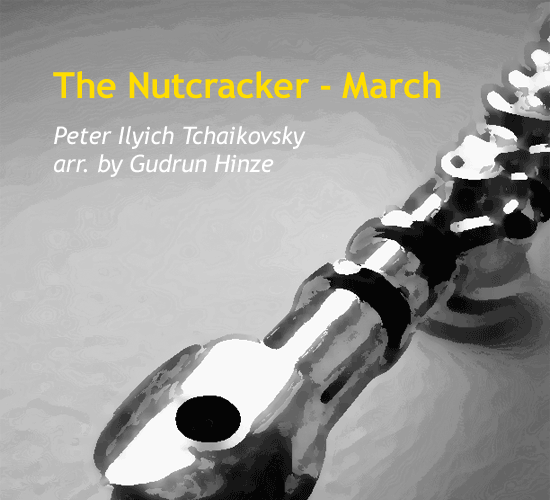 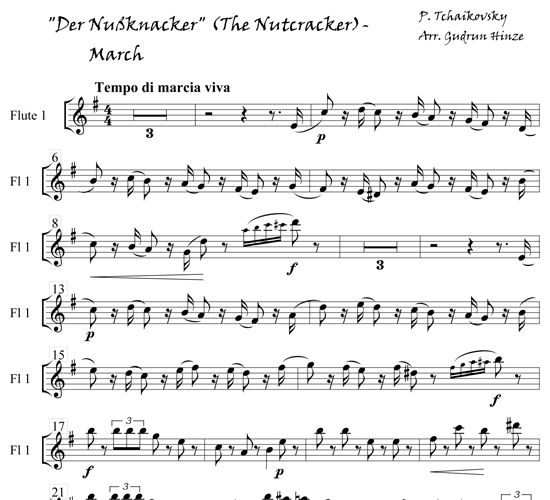 Pyotr Ilyich Tchaikovsky originally wrote this work as a Christmas family theater piece for his brother Modest, patterning it after a story narrated by E.T.A. 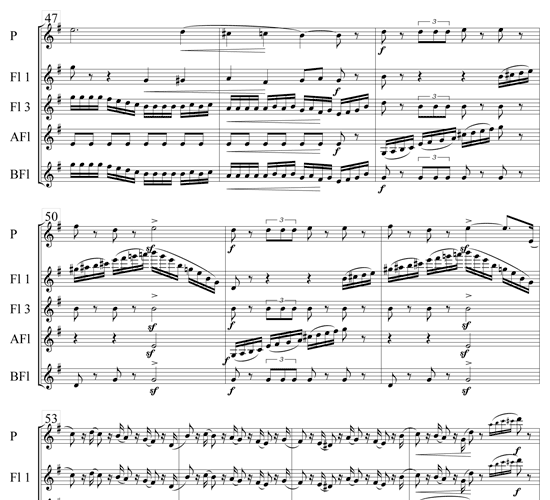 Hoffmann –- and, with that, laying the foundations for a ballet that is one of the best-known works of its kind today. 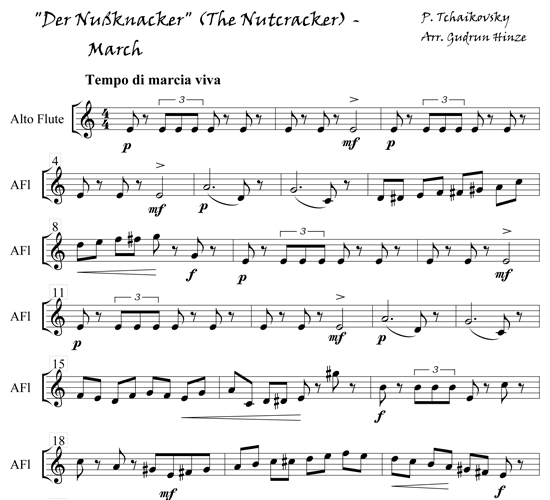 The “March” introduces the big Christmas living room of a rich Russian family, and the moment when the whole family unites under the Christmas tree. 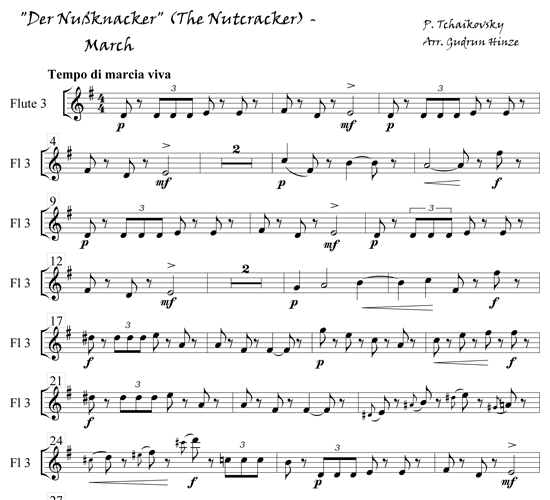 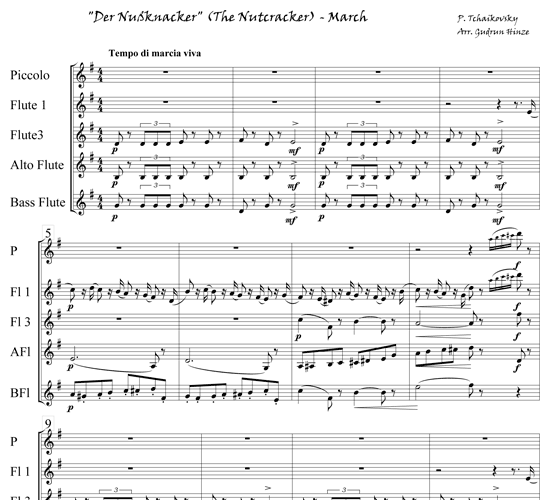 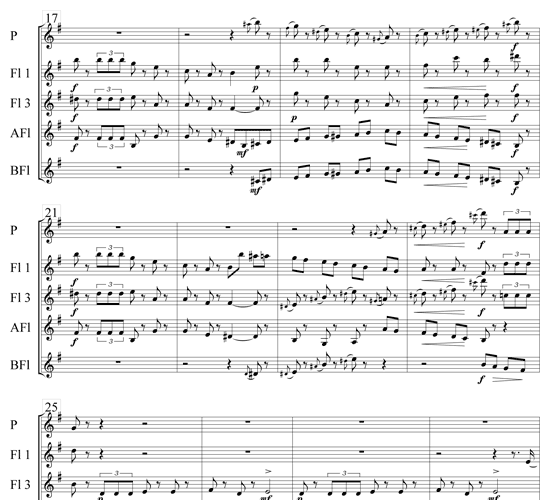 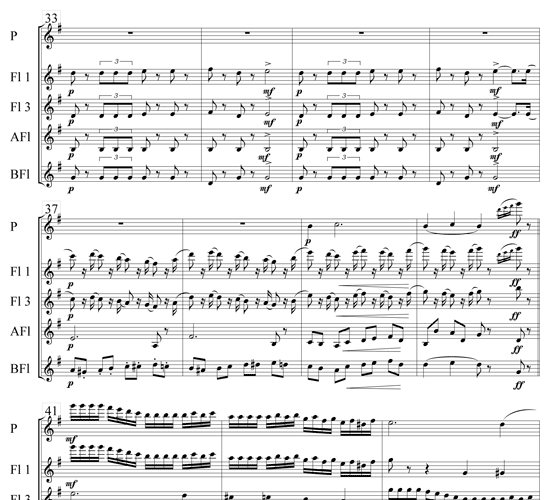 Excellent for either a flute quintet or for flute orchestra.